Gold Cross Training Centers offer life-saving programs and certification courses that will give you confidence to respond in an emergency situation with skills that can save a life. Highly qualified and certified instructors teach all courses. Trauma Care, Cardiac Critical Care, Advanced Airway, Pediatric Critical Care, Communications, OSHA Requirements, Incident Command System, Emergency Vehicle Operations, Ambulance Operations, Emergency Medical Dispatch, Lifting and Moving Techniques. 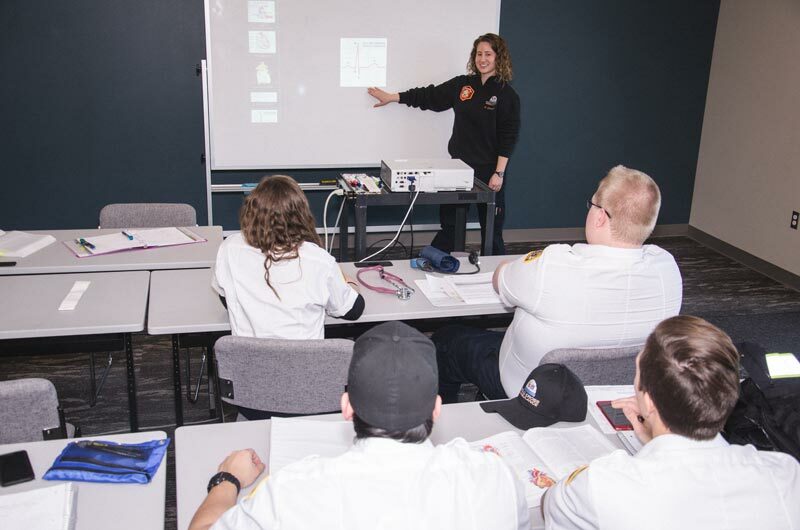 Gold Cross Medical Training and Certification Courses provide regular continuing education for all certified levels of both state and national EMS registries. All participants who meet the course objectives receive course completion certificates. Gold Cross sponsors training centers for the American Heart Association in Salt Lake, Utah, Uintah, Tooele, and Grand Counties. An EMT is an emergency responder who is responsible for the care, treatment and transportation of injured patients. Course instruction covers patient assessment and management of medical, behavioral, trauma, obstetric, infant, and child emergencies. 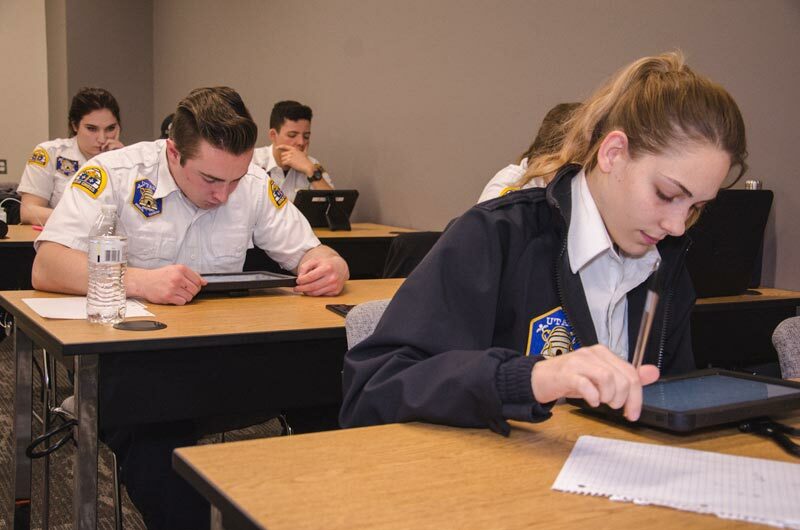 Gold Cross provides enhanced EMT training in proper patient treatment protocols in compliance with local, state, and national guidelines. 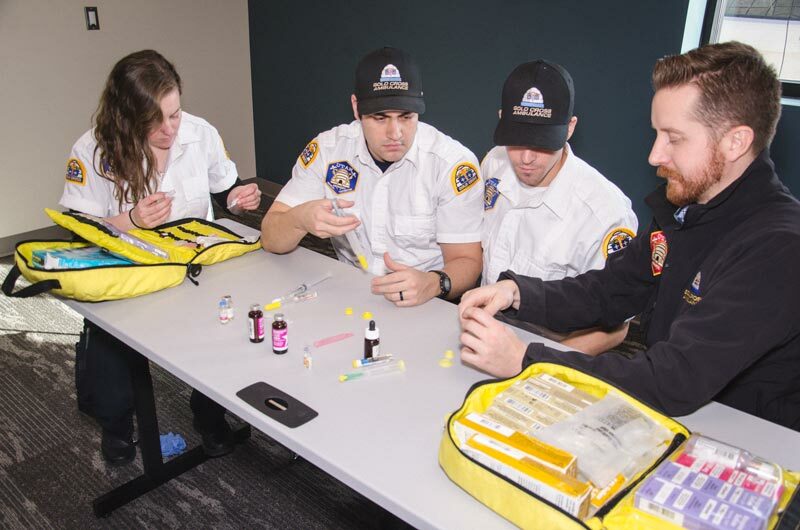 EMT’s quickly evaluate a patient’s condition, maintain a patient’s airway, breathing, and circulation by CPR and defibrillation, control external bleeding, prevent shock, and prevent further injury while safely transporting the patient to a hospital emergency department for proper medical care. PHTLS is a continuing education program for pre-hospital emergency health care professionals that brings care of the trauma patient into a single focus. The course emphasizes the need to treat the trauma patient as a unique entity with specific needs and approach the patient with various treatment modalities. ACLS covers clinical interventions for the urgent treatment of cardiac arrest and other life threatening medical emergencies. The course teaches management of the patient’s airway, initiation of IV access, ability to read and interpret electrocardiograms, and emergency pharmacology. Other subject matter considers rhythm recognition and interventions, acute stroke and coronary syndromes, and the use of automated defibrillators. PEPP is a complete course designed specifically to teach pre-hospital professionals how to better assess and manage ill or injured infants and children. Curriculum covers: respiratory, cardiovascular and medical emergencies, toxic exposures, trauma, emergency delivery and newborn stabilization, pediatric basic life support, airway and ventilation, vascular access, fluid therapy and medications, and sudden infant death syndrome or death of a child. 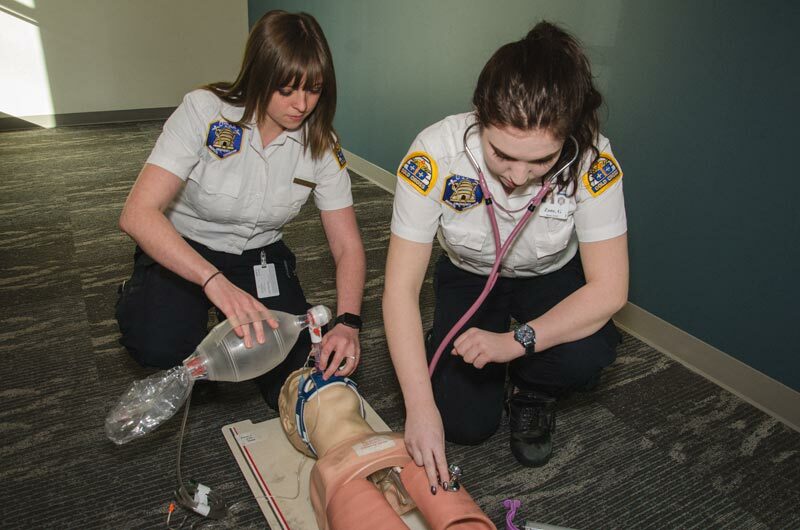 BLS training covers the use of pediatric oral and nasopharyngeal airways, bag-valve-mask ventilation, and spine immobilization. 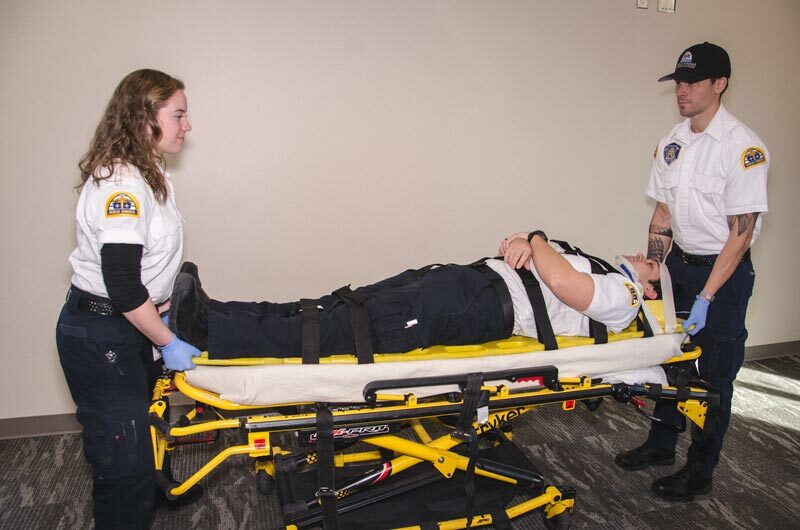 ALS training involves: airway obstruction and foreign body removal, intraosseous needle insertion, endotracheal intubation, tracheotomy management, and vein catheterization. The PALS course provides knowledge and skills necessary to efficiently and effectively manage critically ill infants and children, resulting in improved outcomes. Skills taught include: recognition and treatment of infants and children at risk for cardiopulmonary arrest, the systematic approach to pediatric assessment, effective respiratory management, defibrillation and synchronized cardioversion, intraosseous access and fluid bolus administration, and effective resuscitation team dynamics. Gold Cross offers basic instruction in CPR and First Aid programs to schools, churches, boy/girl scouts groups, and community education centers. Additional training and injury prevention can be added to prepare you to respond to common and life-threatening emergencies such as: obstructed airway, heart attack, stroke, seizures, shock, diabetic emergencies, bleeding, burns, eye & nose injuries, animal & insect bites,poisoning, fractures, and sprains.